Your home is bound to become a lot smarter with Google’s new home assistant device. It’s a WiFi speaker capable of answering voice queries, performing tasks and last, but not least, connecting and managing devices in your home like TVs, speakers and light bulbs. 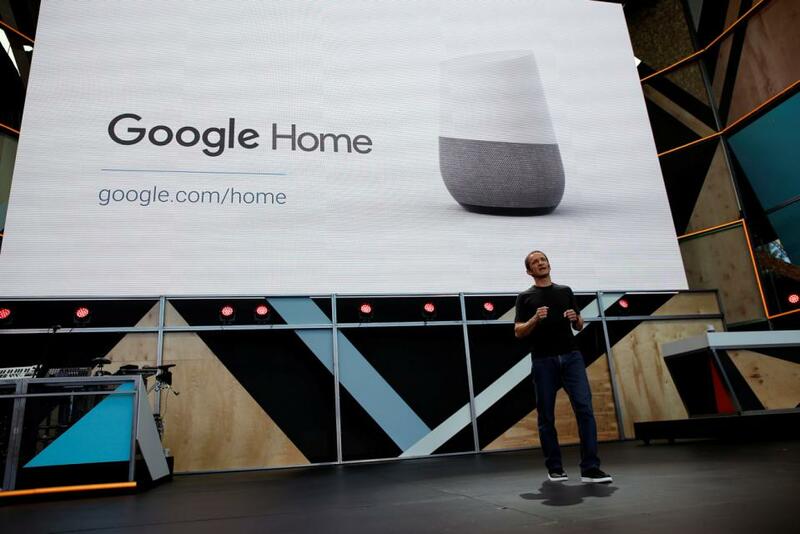 Google’s developer conference I/O is started early morning NZ time, and the first thing that CEO Sundar Pichai announced was the assistant and how it fits into Google’s smart home device speaker called Google Home. Mario Queiroz, the responsible product manager, then briefed the audience about the new device and highlighted how it will make your home smarter. It’s still early days for the device according to Google, but a launch seems possible this year. The physical design of the speaker device is already ready. It looks like a slick cylindrical-shaped portable speaker. It’s possible to customise the bottom part of the speaker in different colours and fabric so that it blends into your home like a small vase. For example, one can put it on a shelf and few people would notice that this is one of the most talked about gadgets in the world at the moment. Google Home arguably looks nicer visually than the competitor Amazon Echo. Google voice assistant has been around for a while for users on mobile devices. One-fifth of all mobile searches are now voice activated. However, Google is now elevating its status and it will now get a more prominent role similar to Apple’s Siri and Microsoft’s Cortana. Sundar Pichai believes that Google’s assistant is far superior to any other assistant on the market. The reason according to Google’s CEO is his company’s advantages in natural language search and voice recognition technologies. He demonstrated its capabilities by asking complex questions like “What was the size of the US population when NASA was established?” and context specific ones like “What’s the name of the statue next to me?“. Connect devices in your home and coordinate the communication between them. For example, playing your favourite song using your speakers by saying the name of the song aloud or watching the closest star on the largest screen in your home (likely to be a flat screen TV). Perform everyday tasks like booking tickets and dinner, checking delivery progress, sending SMS messages to inform friends about delays etc.